Updated June 6: Registration is still open, but advance registration is vastly preferred, so contact organizers (see below) soon. Registration numbers are still a little low, so why not go and aim for a prize?? 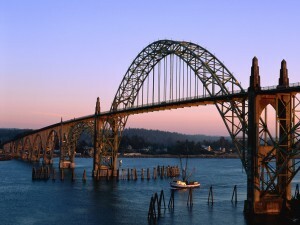 What better way to start your summer than with a peaceful weekend of chess at the Oregon Coast? For the last 25 years, the Central Coast Chess Club of Newport has been running the Newport June Open, and it takes place again this year on June 13-14. This event features four rating sections, as well as graded entry fees depending on which section you want to play in, and excellent cash prizes. The organizers are limiting the entry to 46 players, so there will be plenty of room to stretch your legs, and the event plays two rounds a day with leisurely G/90,+30 time controls, so it’s a great way to ease into summer. The “booster” section (ratings of <1400 USCF) has a $100 first place prize, and they go up from there, so register now to reserve your chance to play. This event is a 2016 OSCF State Championship qualifier. For more information about the event, as well as the entry form, click here. After the break, you’ll also find a “Top 20 reasons to enter the Newport June Open.” Contact hgpitre@gmail.com for more information. Because you want to play just four games this weekend, and still be in contention for first prize. Because it has a section you have a reasonable chance to win. Because you want to see up-close and personal some upsets on the top boards. Because you don’t get enough practice using the 30 seconds increment time control. Because you want the Northwest Chess Grand Prix points. Because you scored a great hotel deal that will accept four players in the room. Because you have a van that will accommodate all your chess people, and this will be your Chess Odyssey. Because you found a campground site that’s really cool and cheap. Because you want a break from big-city life. Because you have friends along the way whom you have not stopped by to see in a long time. Because you’re curious to see if any non-native species from the dock that floated from Japan after the tsunami in 2012 have populated the beaches in Newport. Because you want your spouse, or significant other, or parents to have beautiful natural views to practice their water-coloring art. Because it’s just about summer, and this is a summer thing to do. Because you want to go clamming that weekend. Because you like to watch and hear the waves at the ocean shore. Because there never is enough time to have non-chess fun in any other chess tournament. Because you have heard the Newport June Open players have great personalities. Because you have heard from a previous participant that they actually enjoyed it. Because you heard that Morgan the Dog recommended it for its cool tiled floors. Because it is amazing that a small chess club has done this for 25 years, and you want to support them. Because you haven’t played in Newport since the last century, and this is for the nostalgia. Because you want to see if this tournament will begin on time.